The mineral fluorite is famous for its glassy luster. 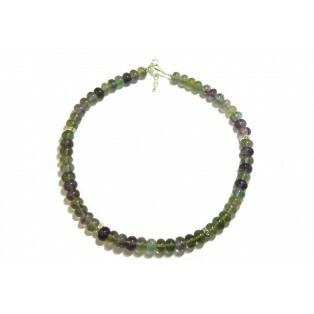 It has a wide range of colours but mainly purples and greens and colourless. Named after the Latin word "to flow". 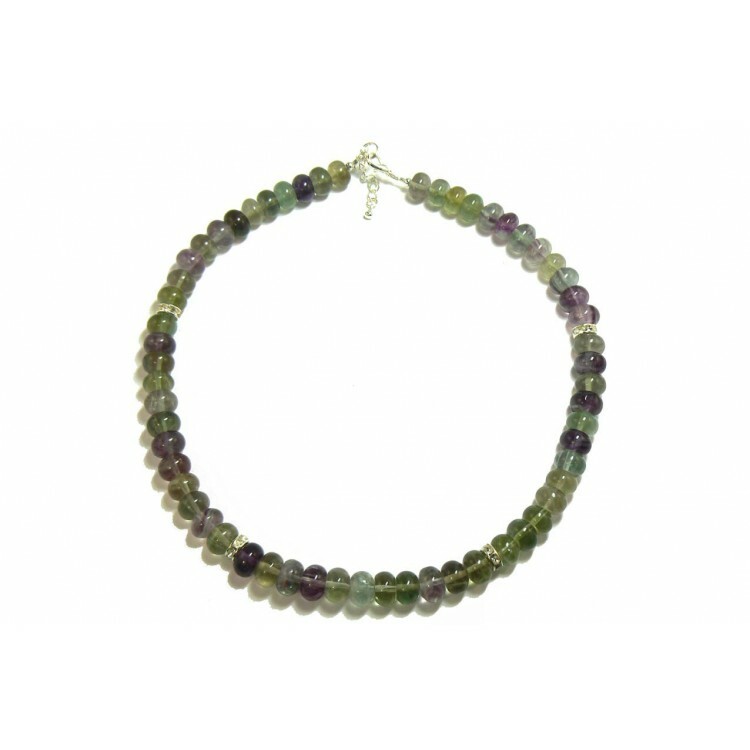 Lovingly crafted to show off its lustrous beauty, I have designed this Fluorite Necklace using 10mm rondelle shaped natural fluorite beads. Their colours range from rich purples and greens with some bordering on colourless. I have added four crystal rondelles to place this stunning necklace in the league of something to wear when going out on the town, or a social dinner party. However it can also be worn with a clerical suit and will look just as enchanting. It measures 17.5" (45cm) long and I have added an extension chain so that it can be worn longer if necessary. The silver plated clasp and extension chain is "Nickel Free" to comply with EU directives.